April is always a perfect time to visit our nation’s capital as the city shakes off the withering cold of winter and looks forward to the rest of the year; that is, if one skips over the blazing heat and humidity of a Washingtonian summer. March 20 may formally mark the first of spring, but it is April that everyone truly embraces as a year reborn. Aside from the blossoming of its magnificent cherry trees, originally a gift of three thousand specimens from Japan in 1912, and celebrated by the wildly popular National Cherry Blossom Festival, the month is filled with one wonderful event after another. Savor this small sample of intriguing museum exhibitions currently showing, like “Empresses of China’s Forbidden City, 1644-1912” at the Freer/Sackler Gallery, and “Good as Gold: Fashioning Senegalese Women” on The Mall, at the National Museum of African Art. Located steps from the White House, the Smithsonian American Art Museum’s Renwick Gallery hosts “Connections: Contemporary Craft at the Renwick Gallery.” This exhibition of particular interest to those who love craft contains eighty objects from the 1930s to the present, drawn from its own craft collection, and selected by Nora Atkinson its curator. But the month of April especially shines with that annual celebration of American craft, the Smithsonian Craft Show, at the National Building Museum, a much lauded architectural beauty and elegant setting for displaying wonders. Each year three invited jurors hone applications of approximately a thousand craft artists from across the country to those considered to have excelled in the handwork of their particular medium. The public is not only afforded the opportunity to meet and talk with the talented artists but to purchase one-of-a-kind works, selecting from twelve craft categories in basketry, ceramics, decorative fiber, furniture, glass, jewelry, leather, metal, mixed media, paper, wearable art, and wood. Many of the one hundred twenty-one artists have participated in prior shows and are well known to serious collectors who look forward to their return, but there is also the precious chance to discover new work. 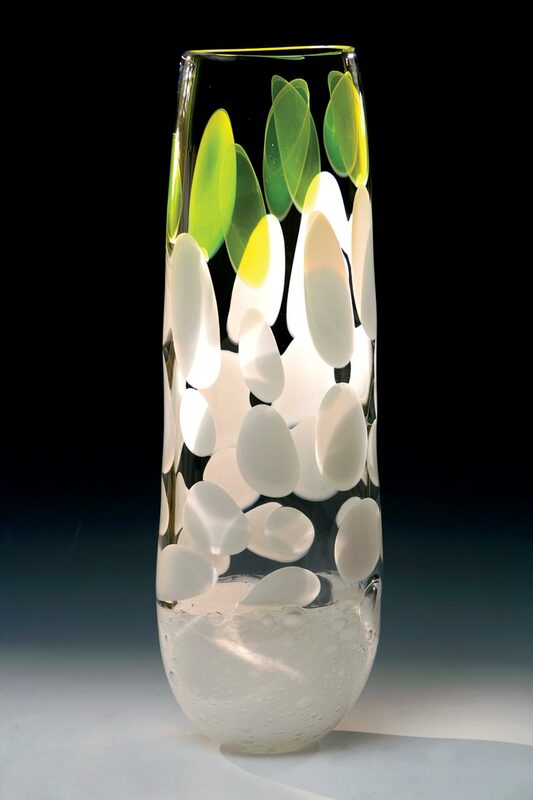 For this year, there are forty-five first time exhibitors like Gregory Burgard (glass), Constance Collins (wearable art), John Guertin (wood), Bill Jones (ceramics), Katherine Maloney (ceramics), Jennifer Nunnelee (jewelry), Deborah Polonoff (wearable art), Tamra Thomas-Gentry (jewelry), Kent Townsend (furniture), Genevieve Yang (jewelry), and Jean Yao (basketry). These entrants reflect the host’s determination to keep the craft world energized with vibrant creations, emphasizing that it is a powerful and lasting artform, always renewing itself. 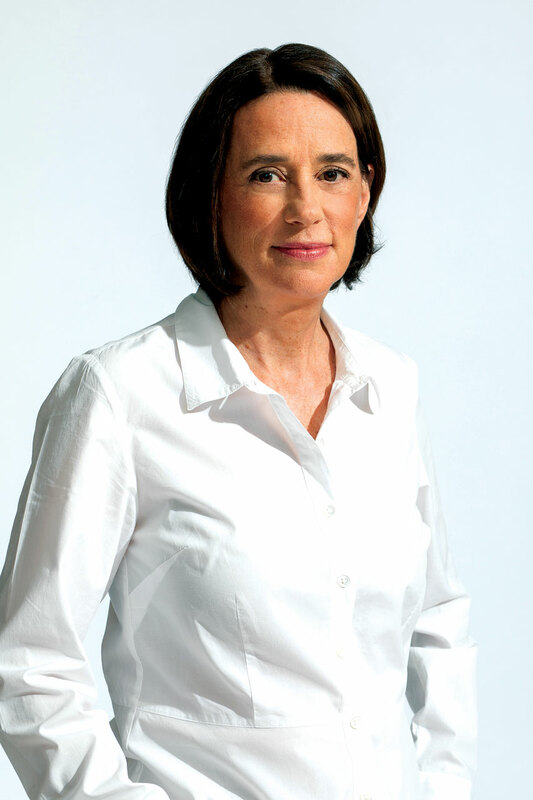 The Smithsonian Women’s Committee, which has sponsored the show for thirty-seven years as a very successful fund-raiser for the Smithsonian Institution, has in recent years established the Smithsonian Visionary Artist Award. Starting in 2014, among those recognized for their achievements have been Albert Paley, Wendell Castle, Dale Chihuly, Toots Zynsky, and Faith Ringgold. For 2019 the recipient is Joyce J. Scott who holds a 2016 MacArthur Foundation Fellowship as part of many points of recognition in her career. 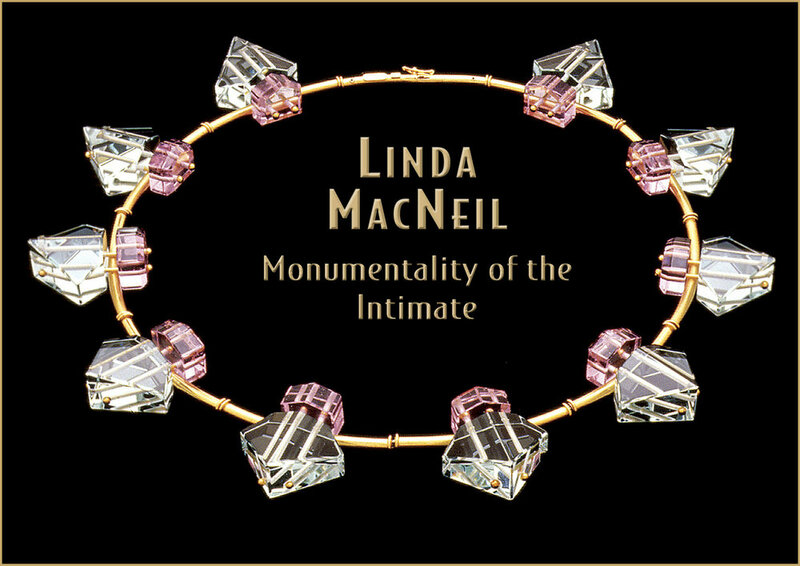 In announcing Scott’s award, the Fellowship stated that her jewelry and sculpture “repositioned beadwork into a potent platform for commentary on social and political injustices.” By taking in the “Connections” exhibition at the Renwick during the run of the craft show, Scott’s work can be experienced among other artists who have also helped give voice to American craft as an instrumental embodiment of this country’s complex soul. This year sees the return of jewelry luminaries Roberta and David Williamson from Ohio whose work portrays the organic world in its most graceful and blessed. Skillfully wrought sterling silver frames, found objects and antique prints enhance the body in statement neckpieces, in some instances recalling pectorals of former eras. Their iconography is a place of enchantment where the imagery best reflects humanity and other life forces. For those who know the Williamsons or are familiar with their work, it is clear they understand how the world harbors darkness, inequality and injustice, but the couple intends to leave their mark with jewelry that respects what is good and honorable about life. Massachusetts artist Amy Nguyen is another award-winning participant in the show. Noted for her textile work, she employs the art of dyeing through the practice of Japanese shibori. Her handwork is one of deliberative and careful process driven by a prayerful attitude brought to the cloth from genesis to fruition. Nguyen sets a high bar in her garments and this has been rewarded by her recognition as among the most accomplished in wearable art. New Yorker Mary Jaeger is a wearable artist who layers cloth for warmth and comfort but also for a certain sensuality in her unconventional arrangement of shapes and cuts through interesting patterns and various textures. Her application of color does not follow the usual path but shows an intriguing sense for the possibilities they might bring to a finished piece. The Smithsonian Craft Show is a panoramic example, over its four days, of the diversity of craft in America today. Technical expertise and brilliant craftsmanship reside in the meticulously carved and glazed porcelain objects, in celadon, oxblood and imperial yellow, by Cliff Lee, from Pennsylvania, whose work is on permanent exhibit at the Metropolitan Museum of Art, shown on the PBS series of Craft in America or honored by the Renwick through its Master of the Medium award. 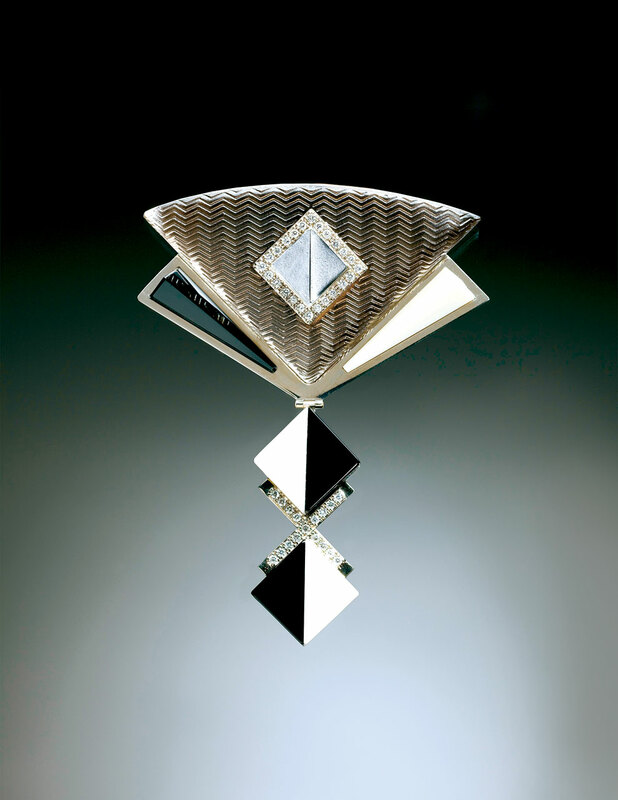 There is a sophisticated yet warm and personal aspect to Judith Kinghorn’s jewelry in high karat gold, silver and precious stones. A lifelong Minnesotan, Kinghorn says that her work is mainly intuitive, but she has clearly been drawn to the aesthetic of the natural world and influenced by the beauty and singular characteristics to be found in the upper Midwest. Perfectly realized golden floral forms radiate from her brooches and neckpieces, and one thinks of untamed fields of wildflowers and of bouquets ready to present to a beloved. 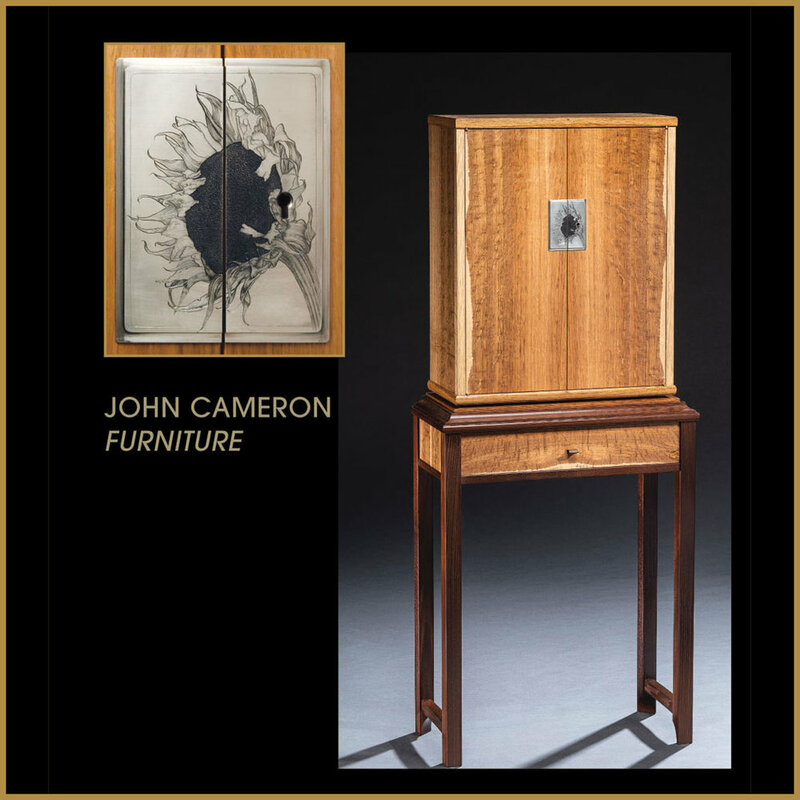 Woodworker Peter Petrochko works in Connecticut and has studied architecture at the University of Cincinnati, and fine arts at Silvermine College of Art. 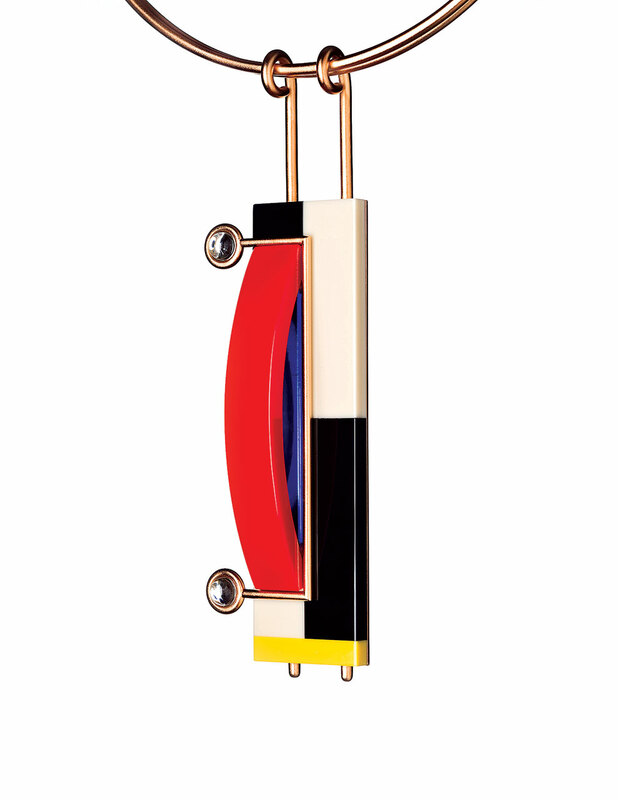 While studying design, Petrochko says, “I became enthusiastic about making objects of wood, and chose wood as my craft.” He is challenged, as are most craft artists by the many possibilities that their medium might hold, and for him that is the vessel, one that many artists find themselves drawn to, whether in wood, clay, metal, and fiber. From Florida, Lucrezia Bieler astonishes by the brilliance of her papercuttings. Following a tradition from Europe, they are wholly her own. Mesmerizing in totality, one is compelled to enter her personal space, drawn to what seem to be thousands of intricate cuts emerging in black and white. She has said that “I am intrigued to create something really beautiful from a simple sheet of plain paper. 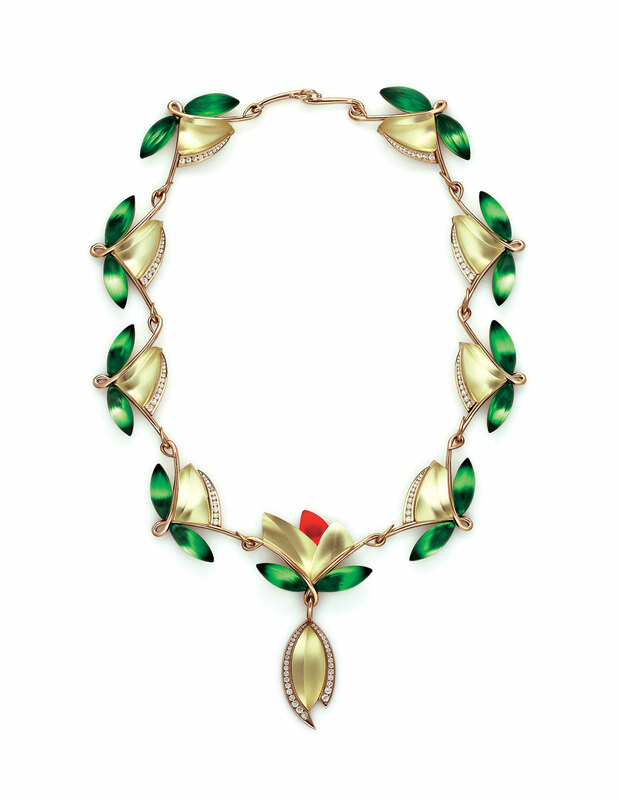 It is like turning paper into gold.” Bieler’s work is another example of where meticulous process, concentration and precision are paramount to the successful realization of a handmade work. Holly Anne Mitchell works paper in an entirely different manner from Bieler. And it is a fascinating exercise to see how one artist changes the quality of a medium compared to another. 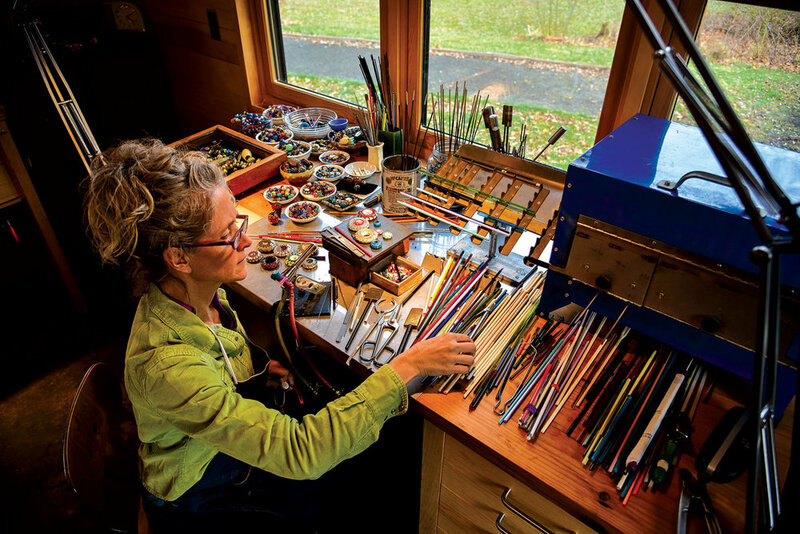 Now a resident of Indiana, in 1990 while studying metalsmithing at the University of Michigan she began exploring newspaper as a source of expression. Her assignment was to make a piece of jewelry which did not consist of any traditional jewelry materials—so, no metal and precious stones. Such began her journey into paper as a resource, and since those Michigan days Mitchell has been increasingly sought by collectors who want to see the latest in her wry, not cynical, but thoughtful observations on the social and political nature of the modern world. 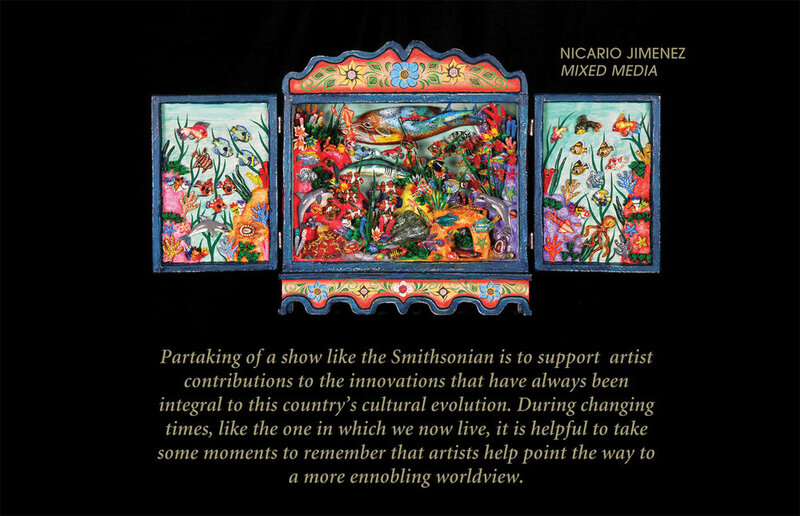 Partaking of a show like the Smithsonian is to support artist contributions to the innovations that have always been integral to this country’s cultural evolution. During changing times, like the one in which we now live, it is helpful to take some moments to remember that artists help point the way to a more ennobling worldview. It is all about building up, not tearing down, always, but most especially, during the inevitable challenges that life presents to us all. 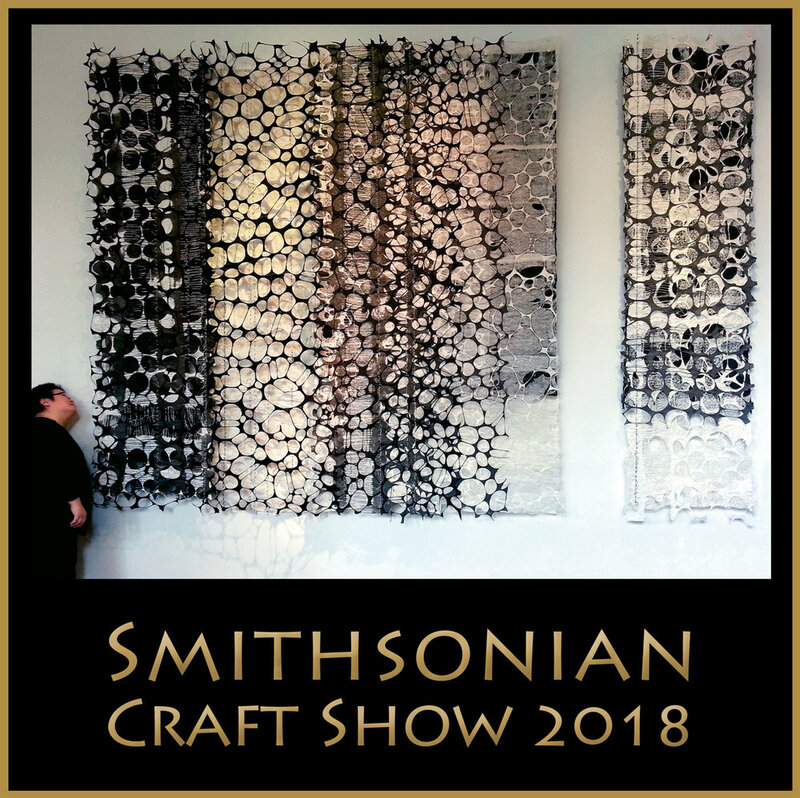 The Smithsonian Craft Show hosts its thirty-seventh annual event at the National Building Museum, 401 F St., N.W., Washington, D.C. 20001, April 25-28, 2019. Visit their website at www.smithsoniancraftshow.org. 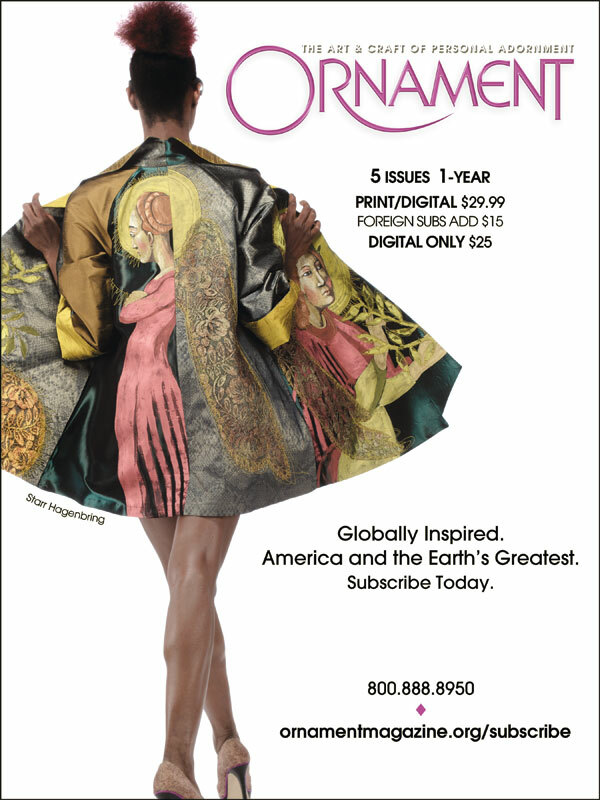 Carolyn L. E. Benesh is Coeditor of Ornament and our in-house expert on contemporary wearable art. As Ornament’s resident itinerant, she moves to and fro across the USA in search of inspiring craft, great experiences and, of course, excellent food. 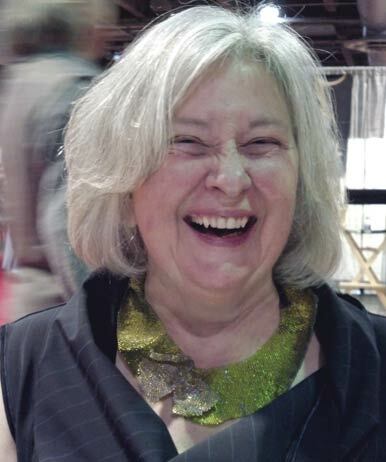 The Smithsonian Craft Show in Washington, D.C., is a destination that she looks forward to every year. From the plethora of museums in the city to the inspiring diversity of craft at the show (and of course, the company of good friends), this visit is one of her highlights. Drawn from her personal experience, this year’s article takes the reader through the show, touching upon artists from every media. Benesh also ponders the recent exhibition, “Jewelry: The Body Transformed,” at the Metropolitan Museum of Art.